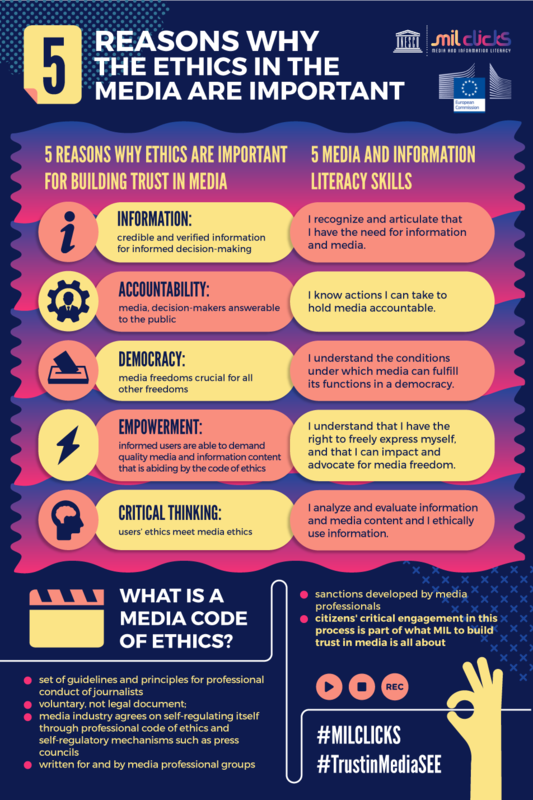 Media and Information Literacy: Critical-thinking, Creativity, Literacy, Intercultural, Citizenship, Knowledge and Sustainability (MIL CLICKS) is a way for people to acquire media and information literacy (MIL) competencies in their normal day-to-day use of the Internet and social media in an atmosphere of browsing, playing, connecting, sharing, and socializing. The project is being implemented in Albania, Bosnia and Herzegovina, the Former Yugoslav Republic of Macedonia, Montenegro, Serbia and Turkey, as well as in Kosovo (administered by the UN Interim Administration Mission in Kosovo in the context of UN Security Council Resolution 1244), from January 2016 to December 2018. Propulsion Fund acceded the project to assist UNESCO in implementing a visibility plan to promote MIL CLIKS social media channels – Facebook, Twitter and Instagram, focusing on micro-learning material and civic engagement following the MIL CLICKS framework/strategy). PF developed educational-related content, visibility tool to build trust in the media, distribution platform for the media and information literacy (MIL) content and learning of MIL related competences for civic engagement, expanding the followership of MIL CLIKS channels. Micro-learning content included 8 infographics, 30 socail media graphics, 2 short animation videos, 2 short photo videos, 2 brochures, 1 banner for both traditional and online media. PF created and implemented Facebook, Twitter and Instagram advertisements.